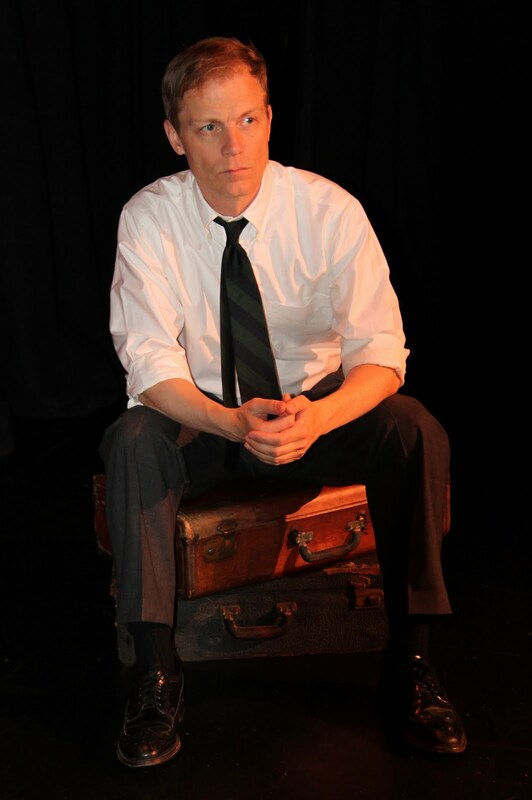 There are times when watching Brian Foyster, whose one-man version of John Knowles' A Separate Peace is currently playing in the New York International Fringe Festival, that I would swear I was watching two or more actors. It's not so much that Foyster spends the entire play jumping from character to character in such a way as to make the stage seem crowded. It's that he is an exceptional storyteller, capable of painting such a vivid picture with his words that the characters he's describing seem to be onstage with him, even when he's not playing them at that moment. Foyster's adaptation is stripped down and spare. This is not to imply that the production is lacking in some way, however. He distills the important moments from the book, keeping the focus squarely on the complex relationship between Gene, the studious introvert, and his athletic, gregarious roommate, Finny. With minimal set pieces (a desk and chair, a bench, two suitcases) he creates the dorm, hospital, Finny's home, a bicycle, a beach, and most importantly the old tree from which they jump as members of the Super Suicide Society of the Summer Session. Foyster is precise, physical actor - a scene where Gene and Finny wrestle, which could have been slapstick in the wrong hands, shows his skill exceptionally well. Director Jason McConnell Buzas keeps the pacing tight and creates a nice tension throughout the play, no small feat in a one-man show. This is helped considerably by Foyster's well-written adaptation. A Separate Peace was my first show in the 2010 Fringe. If it is indicative of the quality of this year's productions, it is going to be an amazing festival.